2 What is his net worth? 3 Who is his parents, brother, siblings – early life? 4 How he’s started career? 5 What was his albums? 6 How he hit the peak of glory? 7 What awards he got? 8 What is his personal life: wife, children, affairs? Bernard Mathew “Bernie” Leadon III was born on the 19th July 1947 in Minneapolis, Minnesota USA. and is a musician, singer and songwriter, who is probably best known for being one of the founders of the rock band The Eagles. He is also recognized as a member of several others country rock bands, including Dillard & Clark, Flying Burrito Brothers, and Hearts & Flowers. His career has been active since the 1960s. Have you ever wondered how rich Bernie Leadon is, as of early 2016? According to sources, it is estimated that the overall size of Bernie’s net worth is equal to $10 million, which has been accumulated through his career in the music industry. Who is his parents, brother, siblings – early life? 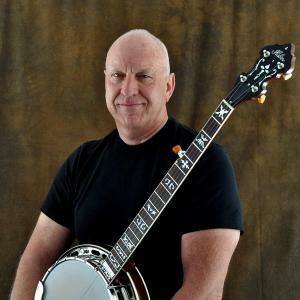 Bernie Leadon, the son of to Dr. Bernard Leadon, Jr., who worked as a nuclear physicist and aerospace engineer, and Ann Teresa Sweetser Leadon, was brought up in a Roman Catholic family with nine siblings; one of his brothers is musician Tom Leadon, a member of the band Mudcrutch. While he was still a child, he showed that he was interested in music, as he started playing various instruments such as the mandolin, the acoustic guitar, and the 5-string banjo. Bernie`s career began in the 1960s, when he joined the bluegrass band Scottsville Squirrel Barkers, however, he soon left the band as he and his family moved to Gainesville, Florida. While in high school, Bernie befriended Don Felder, and soon joined his band The Continentals, which then changed its name to Maundy Quintet. He left the band in 1967 to join Hearts & Flowers, founded by Larry Murray. The band managed to release one album before disbanding in 1968, after their album failed to enter any national chart. In 1968, Bernie joined Dillard & Clark, a folk-rock band, with which he released one LP entitled “Fantastic Expedition of Dillard & Clark. However, Bernie left the band in 1971, and was a part of Linda Ronstadt`s band, before eventually joining The Eagles. How he hit the peak of glory? Bernie joined the Eagles as the last member, and stayed with the band until 1975. During his time at the Eagles, the band released four studio albums, the sales of which increased Leadon`s net worth by a large margin. The band`s debut album was released in 1972, entitled “Eagles”, achieving platinum status in the US. The second album “Desperado” was even more popular, as it achieved double platinum status in the US. The following albums “On The Border” (1974), and “One Of These Nights” (1975), brought even more attention, with sales of more than two million each, increasing further Bernie`s net worth. However, he was dissatisfied with the band`s musical genre in the previous albums, and decided to leave the band. On leaving the Eagles, Bernie left the music scene for two years, then in 1977 he released his debut solo album, “Natural Progressions”. Several years later, he released the album “Ever Call Ready”, which consisted of bluegrass and gospel favorites, collaborating with such musicians as Al Perkins, and Chris Hillman. To speak further of his accomplishments, Bernie was a part of the Nitty Gritty Dirt Band, and Run C&W. He has also released his third solo album – “Mirror” in 2004, which also increased his net worth, and most recently he played with Don Henley, Joe Walsh, and Timothy B. Schmidt on “Take It Easy”, as a tribute to Glenn Frey’s passing, at the Grammy Awards in 2016. Jackson Browne also joined them on the stage. Thanks to his successful career as a musician, Bernie has earned several prestigious awards and recognitions, including induction into the Rock ‘n’ Roll Hall of Fame in 1998 as a member of The Eagles. What is his personal life: wife, children, affairs? Regarding Bernie Leadon’s personal life, during his 20s he was in a romantic relationship with Patti Davis, the daughter of Ronald Reagan, the President of USA. Later, he married Caroline, with whom he had a son, before they divorced. Bernie’s current location is in Nashville, Tennessee.